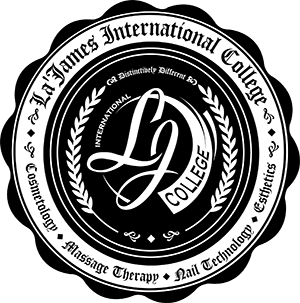 La’ James International College (LJIC) is family owned and operated and has been educating students for almost 50 years. LJIC has eight accredited locations in Cedar Falls, Cedar Rapids, Iowa City, Davenport, Des Moines, Fort Dodge, East Moline, IL and Fremont, NE. Students learn in dynamic facilities complete with elite spas. La James International College has a history for innovation and excellence. We are an industry leader in concept, appearance and the ability to fulfill our mission to ENROLL, EDUCATE, GRADUATE and PLACE. No matter which program you have selected for your personal JOURNEY TO SUCCESS – Cosmetology, Massage Therapy, Esthetics or Nail Technology – LJIC offers you the opportunity to embrace the vision, transform your desires into goals and your time into results! ENROLL students with the confidence, ability and desire to achieve academic advancement and personal goals. EDUCATE to produce a well-trained professional who will be prepared with the necessary education to enter any phase of the Health and Beauty Industry. GRADUATE students with the skills and attitudes focused on winning. NACCAS is recognized by the U.S. Department of Education as a national accrediting agency for postsecondary schools and programs of cosmetology, arts and sciences, electrology, and massage.